Slumit Footprint for additional tent ground protection. 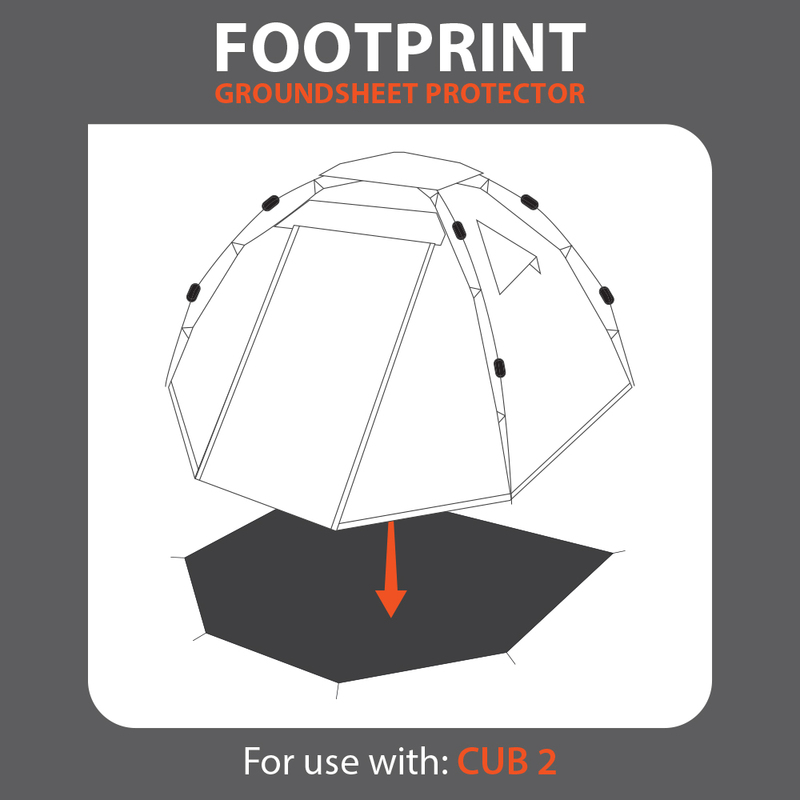 For pitching your Slumit CUB II tent on top of a Slumit Footprint tents integrated ground sheet. 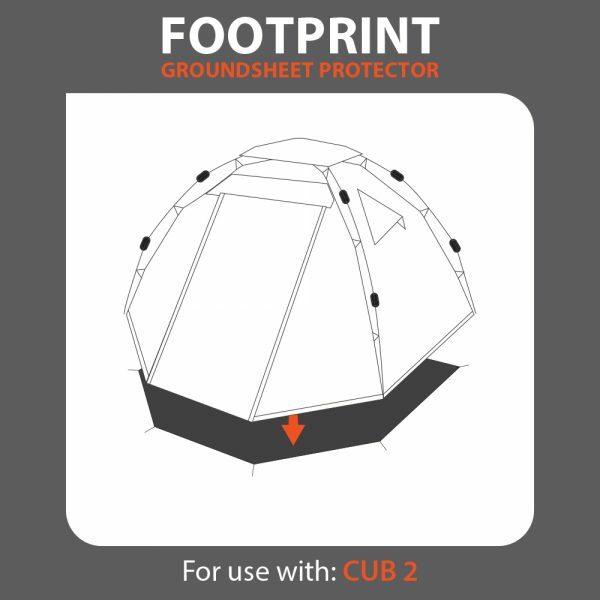 With a tough polyurethane waterproof coating, the Slumit Footprint ground protector helps to shield your integrated groundsheet from abrasion, dirt and saturated ground. Using a footprint will also enhance ground insulation.